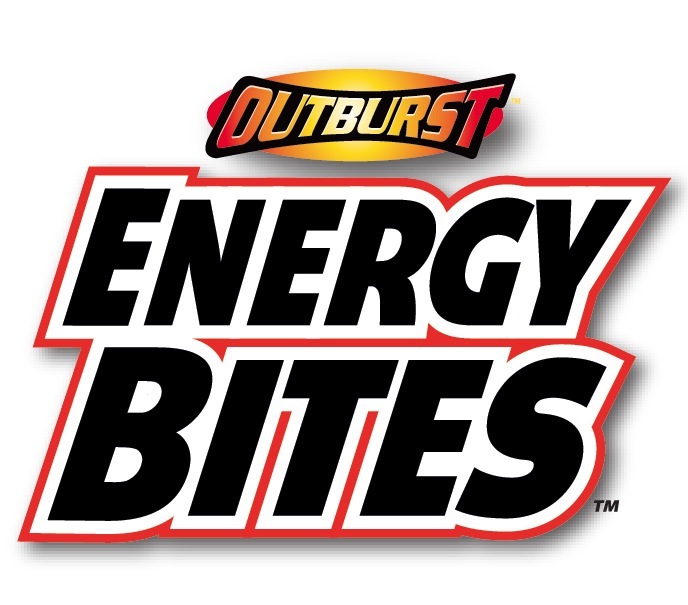 Outburst Energy Bites are an alternative to energy drinks, energy shots, energy bars, coffee and/or caffeine pills in bite-sized chocolate covered “bites”. They come in 3 flavors: Chocolate, Chocolate Peanut, and Chocolate Mint. Outburst Energy Bites come in a flip-top box containing 12 bites, or 3 servings. Each serving is 44 calories and contains as much caffeine as a cup of coffee, along with taurine and B-vitamins blended into 4 sugar shelled chocolate bites. As an active person who drinks an above average amount of energy drinks and has 1-2 espressos at work 5 times a week, Outburst Energy Bites intrigued me. I can’t stand energy shots, I’m not big on the taste of coffee, and I won’t touch caffeine pills. If I’m going to get a caffeine boost, it’s been from an energy drink, an espresso, or something like this. The Chocolate Energy Bites were too chocolatey for me. I wasn’t big on the taste. The Chocolate Peanut Energy Bites were a little better, but my favorite were the Chocolate Mint Energy Bites. The taste reminded me of mint chocolate chip ice cream. Outburst Energy Bites provide a nice little pick-me-up without the jitters. I felt alert about 15 minutes after eating them. While I understand what Outburst is going for, I’d have a hard time buying these for the same price as a can of Monster, RockStar or Red Bull. If you ate the entire box at once it’d be 132 calories and the equivalent of 3 cups of coffee (240 mg), with 96 mg of taurine. Sugar Free RockStar, my energy drink of choice, comes in a 16 oz can for the same price that packs less caffeine (160mg) but more than 20 times the taurine (2000 mg). Then again, the convenience of not having to keep these refrigerated may be worth it. You can’t keep a RockStar in your desk drawer and expect it to taste good. My advice to the makers of Outburst Energy Bites: produce bites that are 33% the size and up the serving size 3x, giving consumers 36 mini bites per box instead of 12. It’ll still be the same amount of product, but the numbers will make them more appealing. My advice to the consumer: If you don’t like the taste of coffee or energy drinks and are looking for a quick pick-me-up, give Outburst Energy Bites a try. Keep a box in your desk at work to save yourself a trip to the refrigerator/coffee pot. As Outburst Energy Bites are not candy (although they may taste and look like candy), I’d assume they’d be displayed in stores next to the 5 hour energy shots, a place that I completely overlook due to my hatred and distaste for 5 hour energy (the jitters and light-headed feeling I get from those is the worst). If I’m going for an energy boost at the corner store, I’m going straight to the fridge with the Red Bull, Monster and RockStar energy drinks. Having never seen Outburst Energy Bites before, I didn’t really know what to expect. When they arrived in 3 little boxes that’ll easily fit in a pocket/purse, I immediately recognized their portability and convenience. You can store these pretty much anywhere. I ate 1 serving size (4 bites) of the Chocolate Energy Bites about 15 minutes before I went to work out. They tasted really chocolatey, and for me not in a good way. They weren’t terrible, but I couldn’t see myself buying these again based on the taste alone (I’m not a huge fan of chocolate to begin with, so your opinion may be different from mine). I started off by playing basketball for about 45 minutes, and then hit the eliptical for 35 minutes. I didn’t feel energized perse, but I definitely felt alert. I got through my workout, showered up and went to work and didn’t feel any sort of “coming down” effect at any time. I usually walk into the office, brew an espresso (so smug, I know) and let it sit for a few minutes before knocking it back like a sorority chick does a shot of tequila. You see, I hate the taste of coffee, but I enjoy the effects of it so I get my caffeine fix in the most efficient way possible. That’ll usually last me about 3-4 hours until I need another one/power through the rest of the day. Today, I opted for the Chocolate Mint Energy Bites instead. After tasting the Chocolate Energy Bites earlier in the day, I wasn’t expecting much from the Chocolate Mint variety, but I was pleasantly surprised. These. Taste. Awesome. It’s like eating a mouthful of mint chocolate chip ice cream. If I could send back the remaining Chocolate Energy Bites and exchange them for Chocolate Mint Energy Bites, I would. Again, I felt alert about 15 minutes after eating them. The feeling of alertness stayed strong for about 3 hours. The Chocolate Mint Energy Bites won’t be coming home with me, I’ll be keeping them in my desk for the next time I need a little boost at work. I think that’s the best use for Outburst Energy Bites in general. Keeping a box by your computer at home or in your desk at work so you don’t have to get up for a coffee or energy drink. You can do the same with a 5 hour energy shot, but it’ll taste like poison and drive you nuts. Outburst Energy Bites are by far a better option over 5 hour energy. While this is probably not recommended, I imagine people looking for a quick jolt are going to eat the entire box of Energy Bites at one time. The Chocolate Peanut box I received actually had 4 servings in it (lucky me), but I only ate 12 bites at once for consistency. It wasn’t as easy to down 12 Energy Bites at once as one would expect. The Chocolate Peanut bites were surprisingly filling. I joked with friends that I’d be “tweaking out” in a few minutes, but I actually didn’t experience an exaggerated effect from downing 3 serving sizes at once. It was a nice pick-me-up, though, for sure. I was yawning before I ate them, it’s about 7 hours later now and I haven’t yawned once. Not bad. Again, while I don’t recommend downing an entire box of Energy Bites at once, it won’t make you start bouncing off the walls or anything. The Chocolate Peanut variety tasted better than the Chocolate flavor (I’m a big fan of peanuts), but isn’t on the same level as the Chocolate Mint flavor. I highly recommend the Chocolate Mint Energy Bites to everyone. I think keeping a box of these in your desk at work is a great idea. They provide a nice little pick-me-up without having to go to the coffee pot or refrigerator. While these won’t replace my RockStar energy drinks, they’re definitely a convenient alternative. Give Outburst Energy Bites a try, and let me know what you thought of this new product. Outburst Energy Bites is a new line of chocolate-covered energy bites that provides a sweet way to get a caffeine fix as a unique alternative to energy drinks, energy shots, energy bars and expensive blended coffee drinks. By creating a caffeine-(enhanced) bite covered in chocolate, we have carved a unique niche within the energy category by offering a quick and flavorful substitute for caffeinated beverages like coffee and soda. We are a New York-based company founded in 2010 by a team of distribution experts that have been active in the beverage industry for over 20 years. We have created a convenient and appetizing way to provide energy and developed a product that is shelf-stable and requires no refrigeration. With three varieties including Chocolate, Chocolate Peanut, and Chocolate Mint, Outburst Energy Bites taste great and appeal to a diverse group of consumers, including college and graduate students, busy moms on the go, entrepreneurs, professionals, and athletes, who all need extra caffeine to get them through the day. Outburst Energy Bites are a great vehicle for people seeking to reduce coffee and soda intake with a portable and inexpensive alternative. Outburst Energy Bites can also provide a bigger caffeine boost than popular non-diet sodas or blended coffee drinks with just a fraction of the sugar and calories. Outburst Energy Bites provide a mix of Caffeine, Taurine and B-Vitamins blended into a sugar shelled chocolate bite. Taurine, an amino acid produced by the human body, is commonly found in energy drinks and shots and has been shown to improve athletic and mental performance. Outburst Energy Bites also contain Vitamins B-6 and B-12 and offer approximately 20 mg of caffeine per bite. Each Energy Bite contains less than 12 calories. Four Outburst Energy Bites (one serving) is equivalent to the caffeine content in one energy drink, one energy shot or one cup of coffee. Each variety of Outburst Energy Bites comes in a convenient flip-top box with approximately three servings (12 Outburst Energy Bites) in each. They are currently available online at www.outburstenergy.com and in stores in New York, New Jersey, Pennsylvania, Baltimore, Washington, D.C and Texas for a suggested retail price of US $1.99 per box. That’s a great value considering each box of Outburst Energy Bites contains as much caffeine, on average, as three energy shots, three energy drinks or three cups of coffee!! * Please note that Outburst Energy Bites are not candy and we do not market our product as candy. Therefore, Outburst Energy Bites are not intended for use by children.